Bill Cosby walks after it was announced a verdict is in at the Montgomery County Courthouse for day fourteen of his sexual assault retrial on April 26, 2018 in Norristown, Pennsylvania. But The Cosby Show owed no small part of its influence to the fact that black folks considered its success part of a larger civic project — around race and representation and respectability — to which they had certain obligations. (Cosby's cultural ubiquity in the 1980s was even more pronounced for us Philadelphians; he was a local boy done very, very good, more famous and avuncular than even Ben Franklin.) Like so many important black institutions, The Cosby Show — and Cosby himself — was a private concern entangled with broad, collective stakes. "Rep sweats" on a trillion. It did take a while for the drumbeat of accusations against Cosby to spur the many black institutions linked with him to start distancing themselves from him. In 2015, Spelman College, the famed all-women's institution in Atlanta to whom Cosby and his wife Camille donated $20 million in the 1980s, quietly did away with the endowed professorship that bore his name. 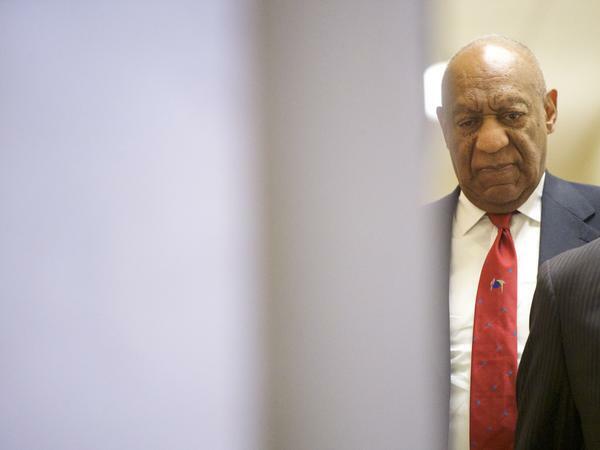 Central State University, a black school in southwest Ohio to whom Cosby had bestowed millions, removed his name from the building that housed its school of communications. Other institutions have made similar calls — and for universities and colleges without large endowments, these are tough decisions. But the fact that these moves were met with little uproar is telling of just how much Cosby's power and influence has waned. To the extent that folks have begun the knotty work of disentangling Cosby's fate and cultural legacy from their own, it's in part because there is no longer the same need for the sole figure anointed as a kind of racial emissary — a role Cosby once clearly reveled in playing. No matter how his trial concludes, Cosby will live out his last years in an America where he has become far less essential. And it's an obsolescence that he, ironically, helped usher into existence.